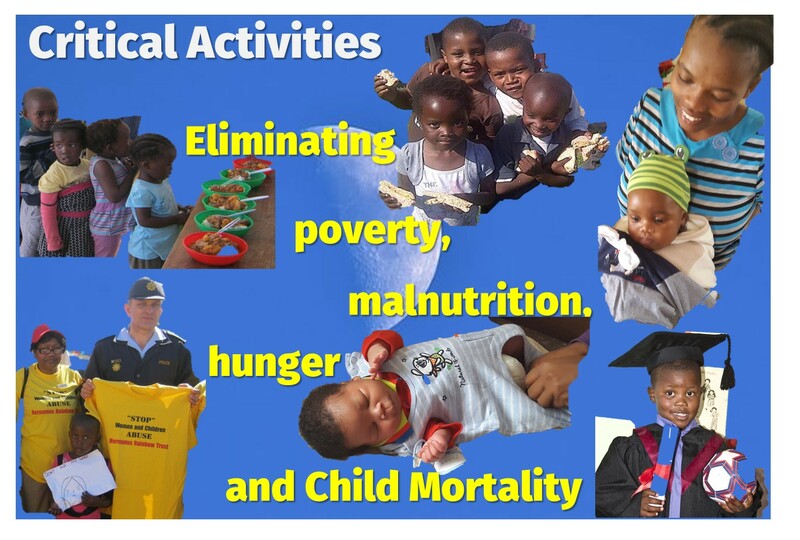 Alleviating Poverty, malnutrition, hunger and child mortality in our disadvantaged communities is by far our biggest challenge and is the catalyst in all our "community and social development" programmes. We focus on 5 critical activities that we have found achieve all our goals and aspirations. However these services are only as effective as the available funding which is very constrained at the current time with only 4 "funders" in 2017. Our best year was in 2015/16 when we had 10 "funders". 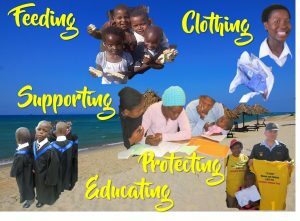 We have inserted our achievements for that period for you to see our capabilities and to consider making a donation that will enable us to achieve similar results by providing many more people with comprehensive support and caring. Educating All of our programmes have an educational agenda included in the programmes.